Rosalie Self, b: May 6, 1902 at Alexandria, Rapids Parish, LA, d: Mar 28, 1991 at Waco, TX, bur: Oakwood Cem, Waco, TX, dau of David Walker Self and Elizabeth Deliah Hays: m: Adam Fontenot, b: Aug 14, 1894 at Chataignier, LA, d: Jan 14, 1943 at Kingsville, TX, bur: Chataignier Baptist Cem, Chataignier, LA, m: Common-In-Law Marriage State of Texas abt 1935: Children of this union: James Thomas Fontenot Tanner and Harold Jean Fontenot Tanner. 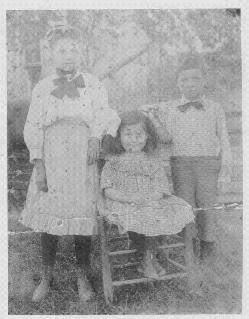 This picture is of my grandparents, Lourena Anna SELF/SELPH and Franklin Alonzo DUNBAR. 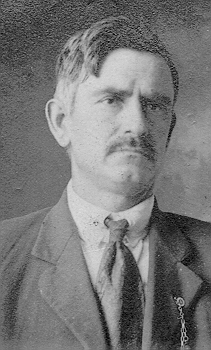 Lourena was born in Stewart Co., TN on 19 Mar 1849. 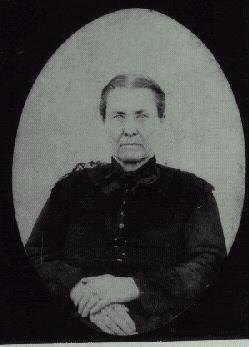 She is listed on the 1850 Stewart Co. census as Luraney. Her parents listed are Henry SELF and Elizabeth TAYLOR. 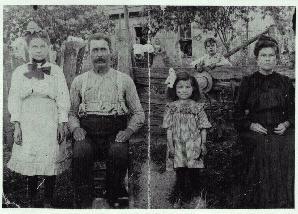 I know that Henry B. SELF, SR. was found in Ballard Co., KY in the 1860 census but what happened to his wife Elizabeth. Where did she die and in what year? Franklin served in the Civil War and from his records he served in Kentucky and Tennessee during the war. I found Franklin in Christian Co., KY in the 1870 census which is north of Stewart Co. so I assume Franklin and Lourina must have met around that area. They were married in 1874 in Alton, IL. They are both buried in Kirkwood, Missouri. Lourena died in 1900 and Franklin in 1913. 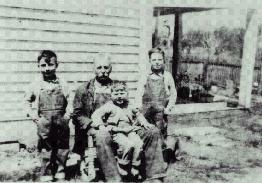 My father John L. DUNBAR was the youngest of their six children. 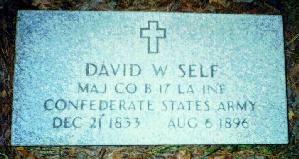 I was informed that Robert SELPH born in Stewart Co., was Lourena's brother. On the death certificate of Bertha SELPH Higgs, it states that Robert was Bertha's father and she was born in Stewart Co. Bertha died in Illinois. 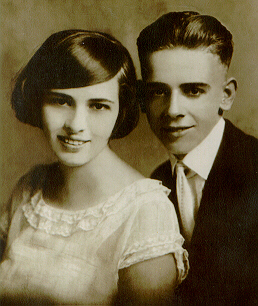 Where were Henry B. SELF, SR. and Elizabeth TAYLOR born ? Wishing someone can help. Hattie Mae (8-22-96), Amanda Ellen ("Ellie"), and Joseph Franklin ("Joe") Self (9-5-99).